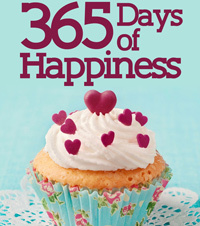 A commitment to exploring happiness every day of the year led to this delicious book. How a daily practice and small shifts can help us all find more happiness. As you’re spending more time outside in the sunshine, don’t forget to protect your eyes. Visit our sponsor Blue Planet Eyewear for the most stylish sunglasses and readers. Use code: Connie20 for your HHY listener discount.